Hello and welcome to my website. 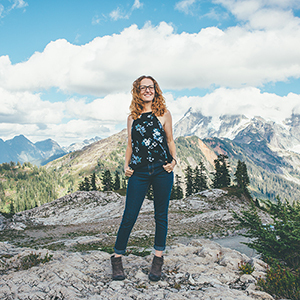 I’m Sheila Carson and I’m an award winning lifestyle portrait and elopement wedding photographer based out of beautiful Bellingham, Washington. I love capturing and documenting life. I received my first camera for my birthday when I was twelve years old and have been capturing moments all around me ever since. I’ve always been fascinated with the idea of freezing moments in time, big or small and then looking back on them as the years pass by. I especially love looking at old family photos and imaging what was happening at that moment… What were they thinking? What was so funny? Or, maybe, why were they so thoughtful? It’s that love for capturing and documenting life that brought me to where I am today as a professional photographer, and I love it! As well as being a professional photographer, I am also a mom, a teacher, and an artist. My crazy, fun life is full of three cats, two dogs, a fish, and two super busy kids. I love fashion, road trips, music, sunshine, mangoes and a good laugh! I’d love to meet you and to capture some of your life’s most precious moments!